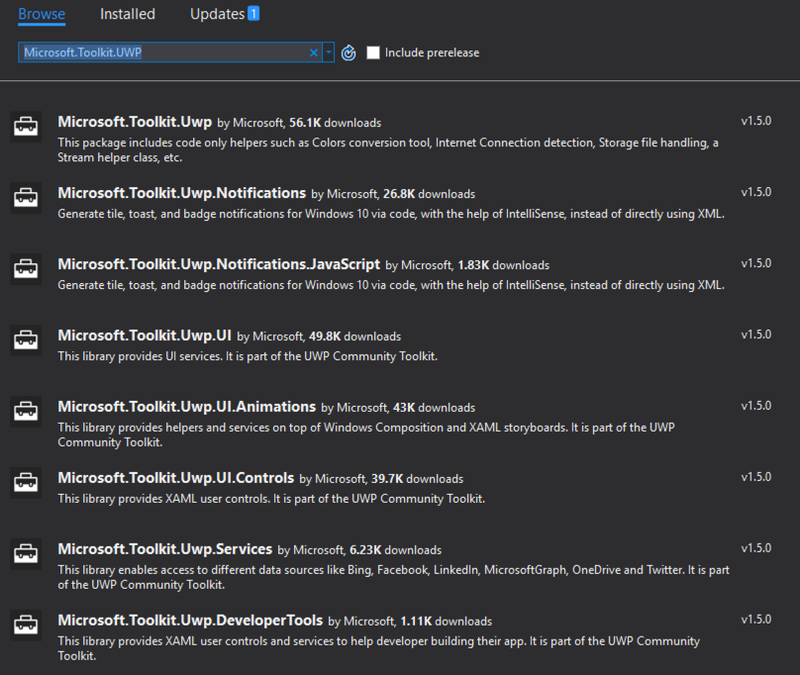 UWP App Tips: UWP Tip #3 - UWP Community Toolkit - Part 1, What's in the Box? UWP Tip #3 - UWP Community Toolkit - Part 1, What's in the Box? Once upon a time, Microsoft released a set of free controls for WPF developers. It was called the WPF Toolkit. It contained components such as DataGrid, DatePicker, Calendar, AutoCompleteBox, and a Chart control. Today's XAML developer would consider these to be basics that would be in the box with their framework. At the time, we saw them as a saving grace. 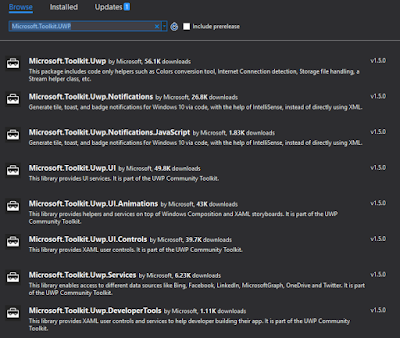 The Extended WPF Toolkit took it a step further, but that's a tale for another blog. Today's UWP offers these types of controls and much more with File-->New Project-->Blank App. Accordingly, today's toolkit delivers richer, more advanced tools. AdaptiveGridView - A grid to better handle today's wide variety of form factors. HeaderedTextBlock - A read-only header/text combination. HamburgerMenu - This has become a staple of modern app design. ImageEX - Loads images async with a loading indicator, plus support for caching. My favorite control in the current collection. RotatorTile - Similar to a live tile within your app. PullToRefreshListView - All the cool kids with iOS love Pull to Refresh. Now your users will too. RadialGauge - Everyone love a gauge control. This one is just what you expect. RangeSelecter - A slider with two points for selecting a value range. SlideableListItem - Slide your list items left or right to take actions on them. This has become a more common UX, especially in mobile email clients. BladeControl - You know the Azure Portal? Those blade that slide back and forth as you navigate through sections. Yes, you can create that same experience in your apps now. Code Helpers - A trove of helper methods for things like storage, streams, color handling, and converters for data binding. Services - Get started with social and search services in your app. Animations - Quickly add cool visual effects to your application. Notifications - Live Tiles and Toast notifications created with ease. Each package's description has enough information to easily identify which of them you will want to download to your project. You'll get any other dependent packages also… because Nuget. The entire UWP Community Toolkit is Open Source. If there is something in the toolkit that needs a fix or enhancement, add an issue, fork it, create a pull request. You know the drill by now. Next time, in UWP Tip #4, we will start building an application with the UWP Community Toolkit. In the coming weeks, I will examine the different parts of the toolkit over a series of posts. In the meantime, go check it out for yourself!